Singapore’s OCBC Bank has unveiled the purchasing of health insurance plans via its mobile and internet banking channels. 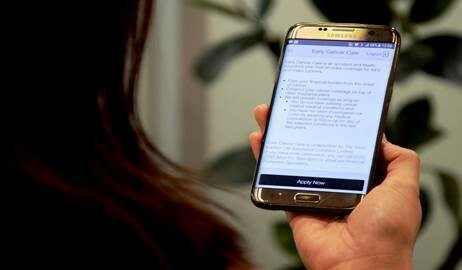 Early Cancer Care is the first health insurance product to be rolled out on its mobile and internet banking channels, with more non-general insurance plans to be added over time. No specifics or details on that yet. Aditya Gupta, head of e-business Singapore at OCBC, says this is a “game changer” and “the start of what I call ‘democratisation of insurance’”. Underwritten by Great Eastern, the cancer insurance plan provides coverage in the event early or major cancer is detected. OCBC says the process is “private and confidential in a secured environment”. Once the customer has logged in via two-factor authentication, their personal information will be pre-populated on the insurance product application form, and they can make payment from their OCBC Bank accounts or credit cards. It’s been a busy few days for OCBC. It turned to artificial intelligence (AI) and machine learning (ML) to combat financial crime. In addition, OCBC’s retail and business banking customers can now log into the bank’s app via a selfie, if they use Apple iPhone X. The bank says it’s the first in Singapore to offer such biometric tech. You can now open an account with OCBC in Singapore in less than five minutes online. Targeting "young and tech-savvy investors".